When people mention homemade banana ice cream they are usually not referring to real ice cream. Some creative person thought it would be a great idea to freeze bananas, then blend them and call it “ice cream”. Now, the dessert is delicious and a lot healthier than real banana ice cream but it definitely doesn’t taste like ice cream. Probably because it’s missing all the wonderful fattening heavy cream. The nice thing about banana ice cream is that you can make it by just blending frozen bananas. Banana are already naturally sweet, so it plays the role of a dessert. Now what’s exciting about this recipe is that you can add so many different ingredients to make this the ice cream flavor of your choice. If you like mint chocolate chip, you can add a drop of mint extract and chocolate pieces. If you like strawberry ice cream, you can freeze strawberries and add them in. There are so many different combinations. Be creative and add the flavors you like. As I’m focusing on my health, banana ice cream is another dessert, like chia seed pudding that helps me with my daily sweet tooth craving. I was challenged to come up with a flavor I enjoy on Facebook. 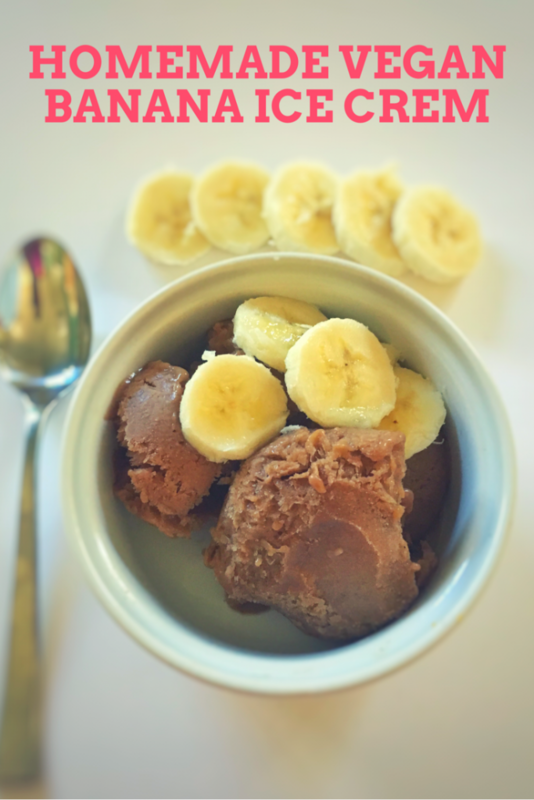 Since I love banana, chocolate, and peanut butter, I went with a Chocolate Peanut Butter Banana Ice Cream recipe. Optional. If the bananas are not blending well, add a little bit of almond milk (or milk of choice) to smooth it out. 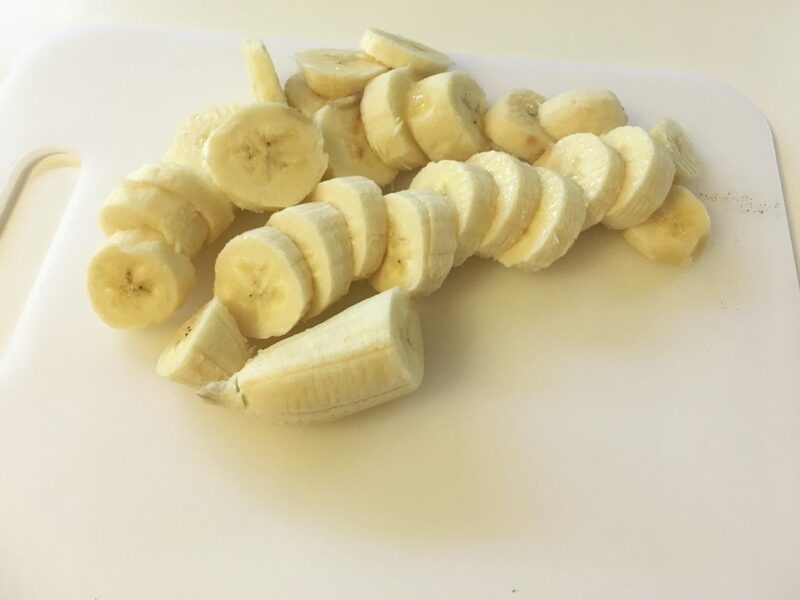 Slice bananas and freeze for 6 hours or over night. Blend until all ingredients are mixed well. 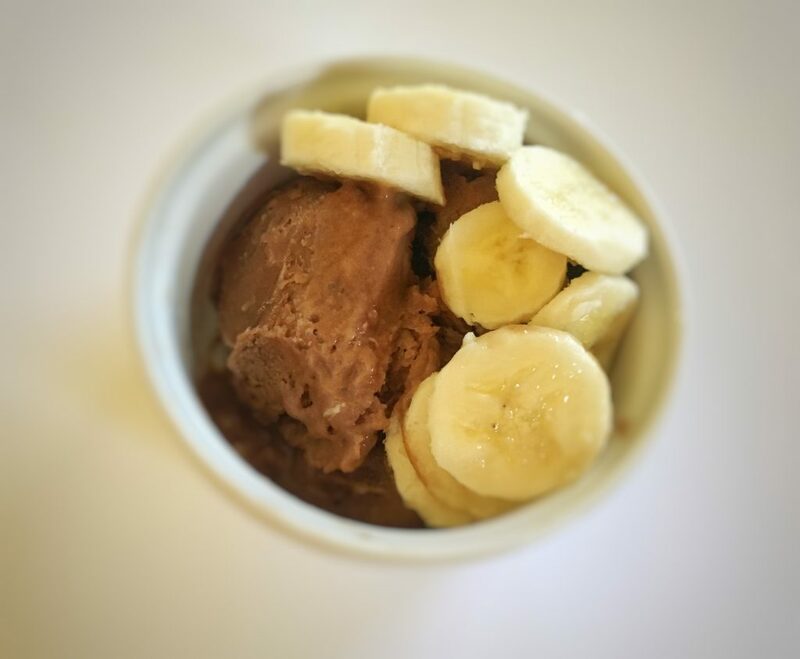 Put banana ice cream into a bowl. Eat and Enjoy! Please note: If you are not eating immediately, you can freeze in a sealed for a container for 2 days. 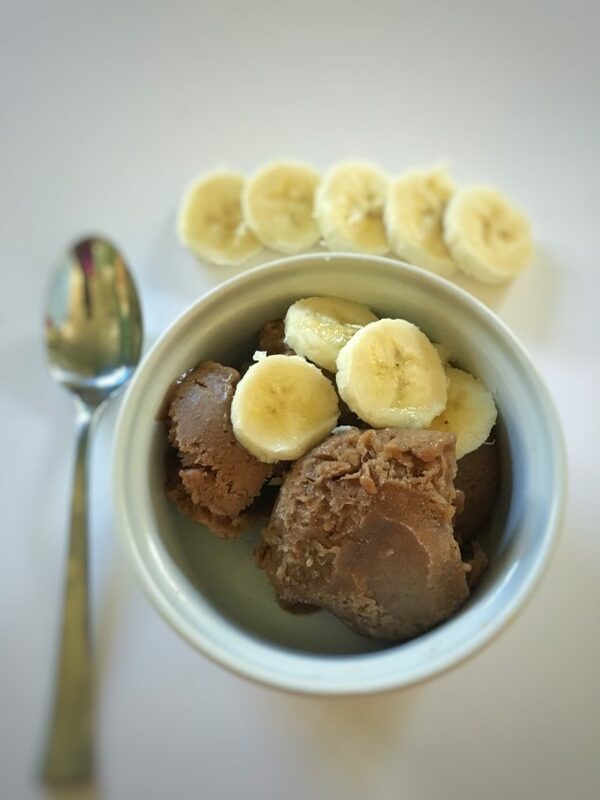 Add 1 tablespoon of unsweetened cocoa powder for banana chocolate ice cream. 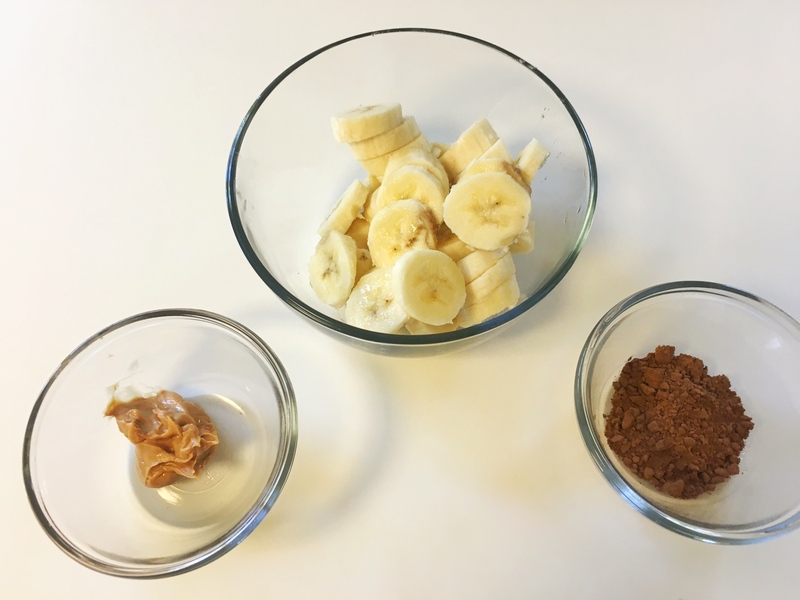 Add 2 tablespoons of peanut butter for banana peanut butter ice cream. The possibilities are endless! 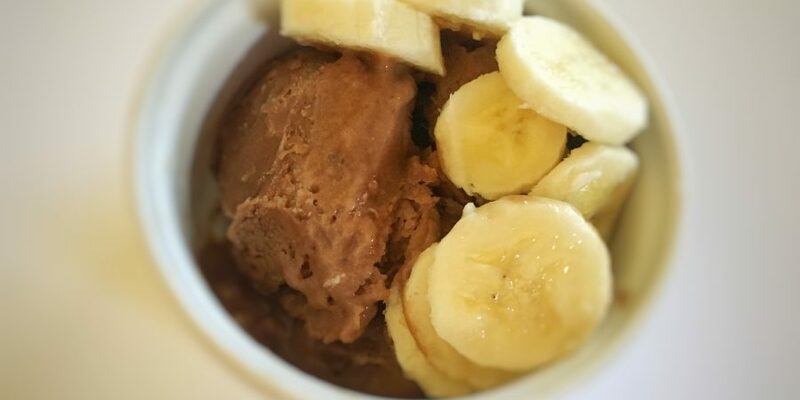 Do you have a favorite homemade banana ice cream recipe? Please share it, I would love to try it. Awww..Yes, hopefully, your kids enjoy it. This looks so yummy and I’m definitely going to try this out. Thanks.